(Host) Vermonters who drive electric vehicles now have another location where they can charge their cars – and it’s free for the first year. Green Mountain Power and the city of Montpelier have opened an electric vehicle charging station behind City Hall. The Montpelier spot is the third electric vehicle charging station in Vermont. Montpelier City Manager William Fraser says the location will allow electric vehicle drivers to recharge their cars while running errands downtown. 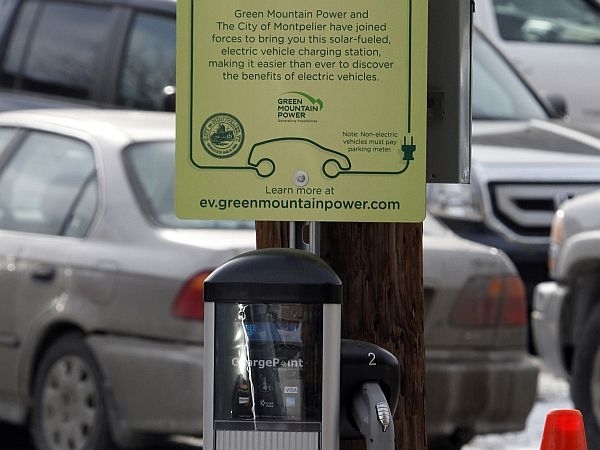 Green Mountain Power has already set up charging stations in South Burlington and Colchester. Each site is paired with a nearby solar array that generates enough power to offset the amount of electricity required by the charging stations. Car dealerships around Vermont are partnering with the group Drive Electric Vermont to celebrate National Plug In Day. They’re encouraging Vermonters to learn more about electric vehicles. Central Vermont Public Service will be test driving Toyota’s new Prius plug-in to see how the car handles in cold weather.